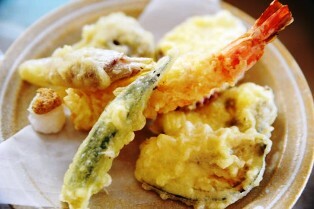 Tempura ('天麩羅[テンプラ, てんぷら]', is classified into deep-fried dish), is known as Tempura in English, and 天妇罗 (Tiān fù luō) in Chinese. It is the washoku. Battered and Deep-fried Food, Agemono. Egg, Tempura Flour, Oil, Food for Deep-frying. Food for Deep-frying (Seafood, Vegetables, and so on), Potato Starch, Wheat Flour, Salt, Pepper, Soy Sauce.